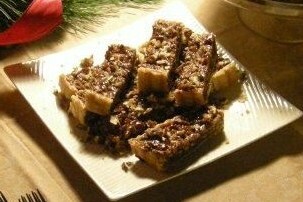 The buttery, flaky pecan tart...irrisistible! crunchy, creating a delightful music in your taste buds. your answer is this pecan tart.